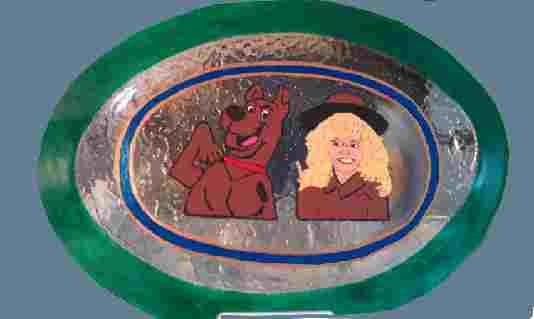 Hand painted Scooby Doo Platter depicts the beloved Scooby Doo from Disney Studios. 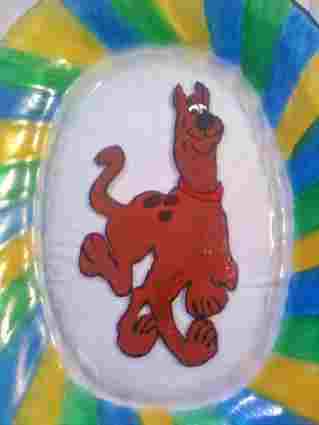 Clearly Susan gets lots of request for Scoody Doo painted platters as he is one of the all time favorite cartoon characters. Scooby Doo was named for the last line of the Frank Sinatra rendition of Strangers in the Night. 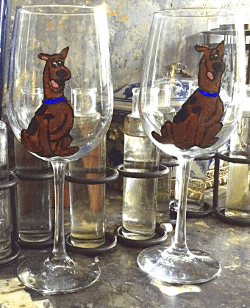 The name was based on a conversation Iwao Takamoto, who created the dog character for Hanna-Barbera, producer of the Scooby Doo TV series, had with a Great Dane dog breeder.